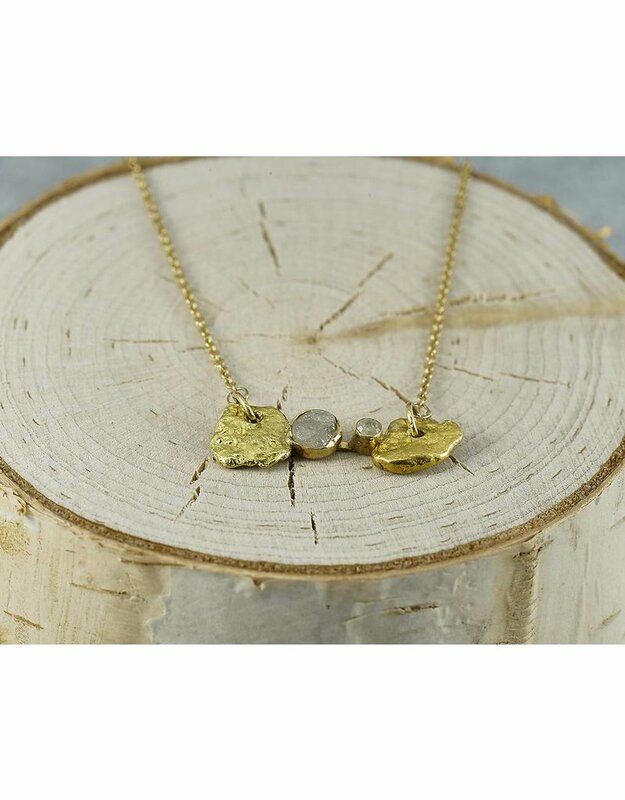 This hand fabricated necklace is one-of-a-kind! 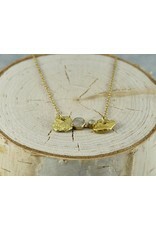 The chain is 18k gold with two 24k gold nuggets and then in the center there are two rough diamonds. 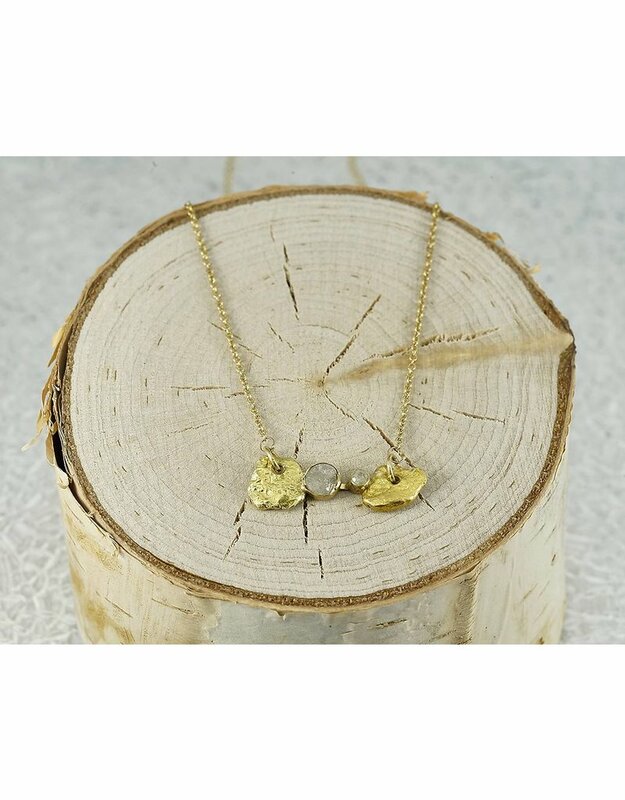 The hand made pendant hangs on a 18"inch chain.